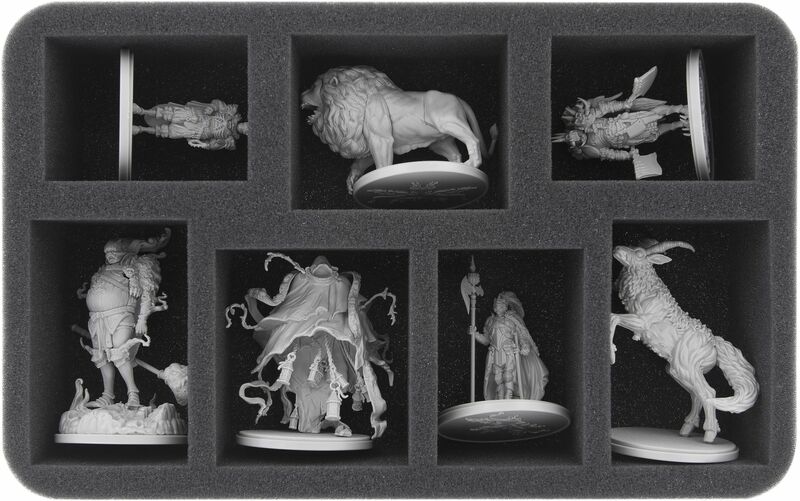 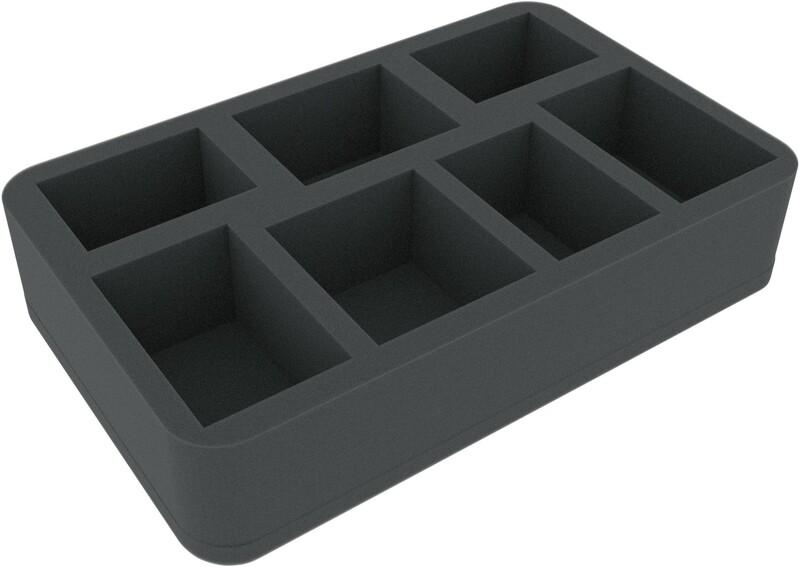 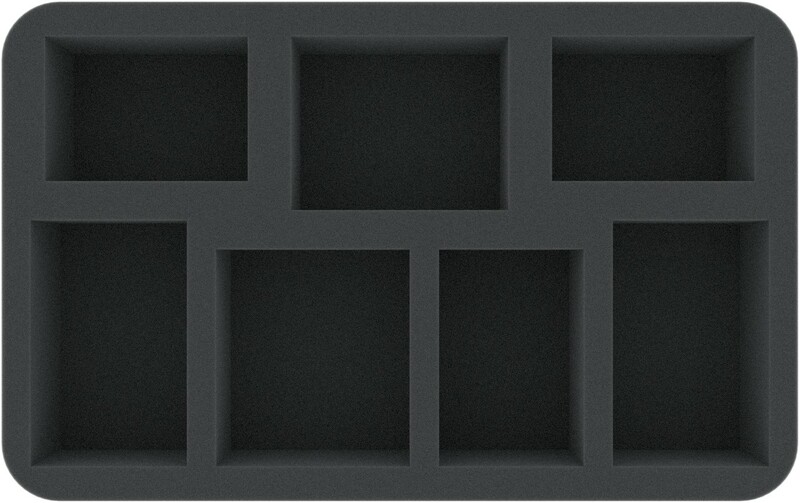 This foam tray will hold seven small miniatures (e.g. White Lion) of Kingdom Death Monster 1.5 Wave 2. 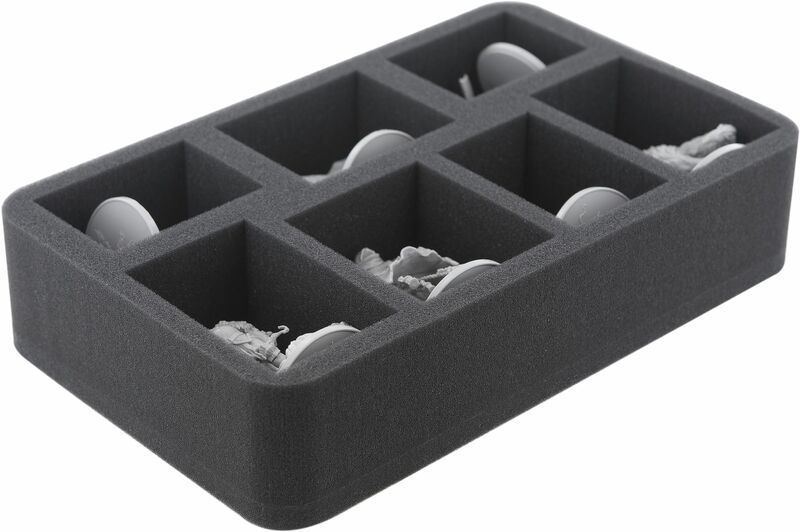 The soft foam will reliably protect parts from breaking off and paint from getting scratched. 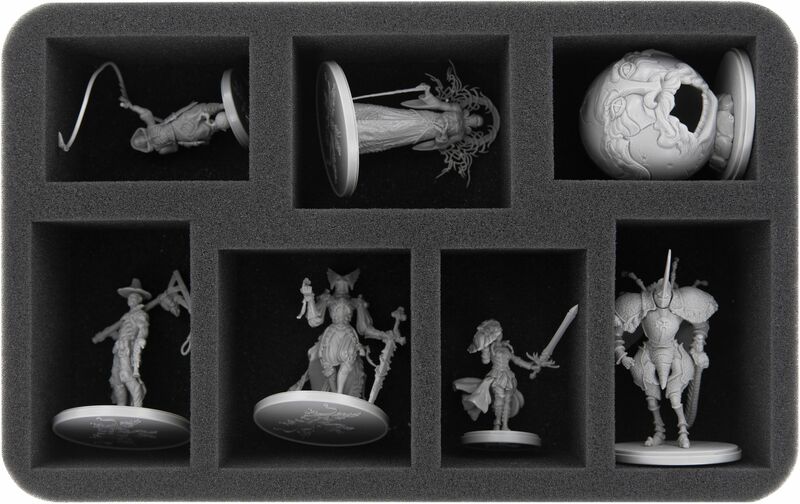 Dimensions: 275 mm x 172 mm x 60 mm total height (50 mm usable height + 10 mm foam base).